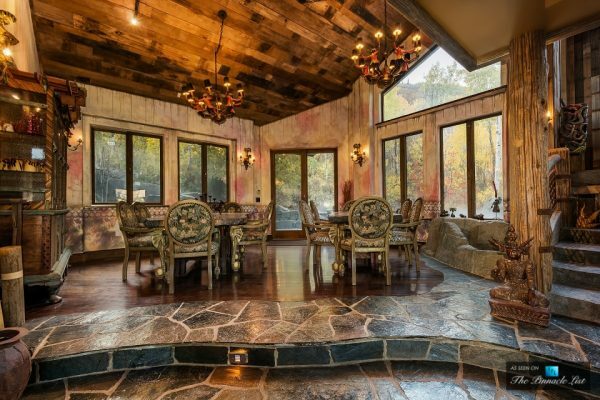 Rustic decor can have a wonderful warmth about it, making it the perfect decor style to bestow upon a dining room, all set for feeding the family or entertaining guests. 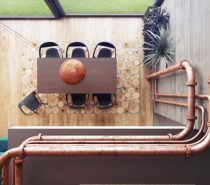 Although, rustic style can also be injected with many different influences, such as industrial chic, tribal, geometric, modern or traditional. With so many directions to go in it can be difficult to know which one is right for you and your home. 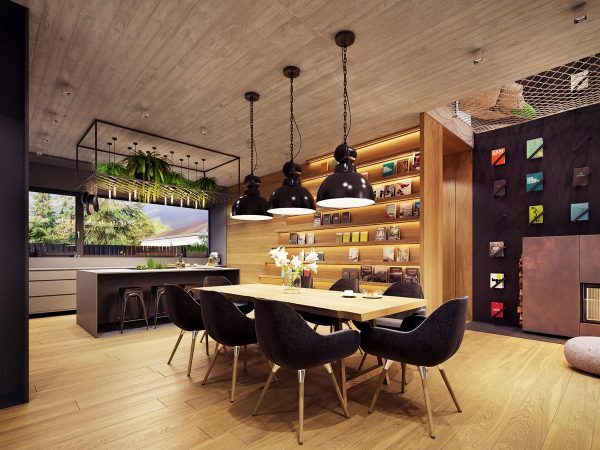 So to help we have put together an extensive selection of rustic dining room decor schemes that include a multitude of rustic dining tables, accent dining chairs and wooden benches, oversized dining pendant lights, and rustic wall decor. 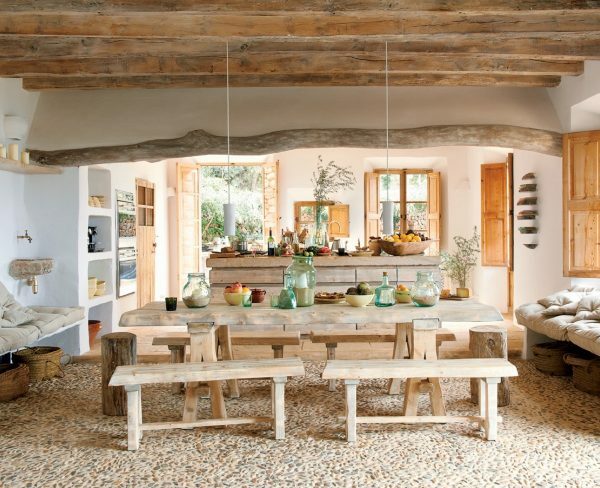 This rustic dining setup is part of a kitchen diner layout. 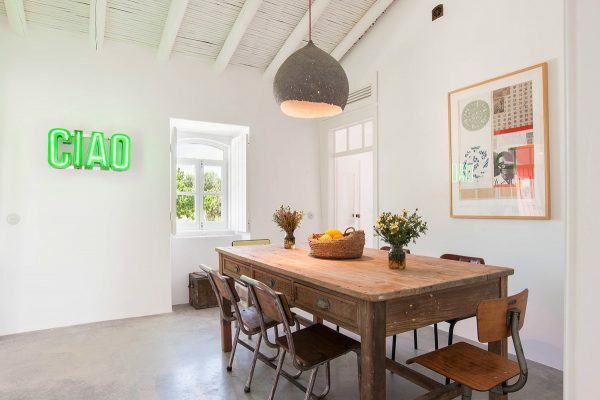 The dining area is anchored in front of a beautiful architectural alcove with the help of an oversized rattan pendant light. The woven shade complements the style of the six dining chairs that encompass a glass topped table. 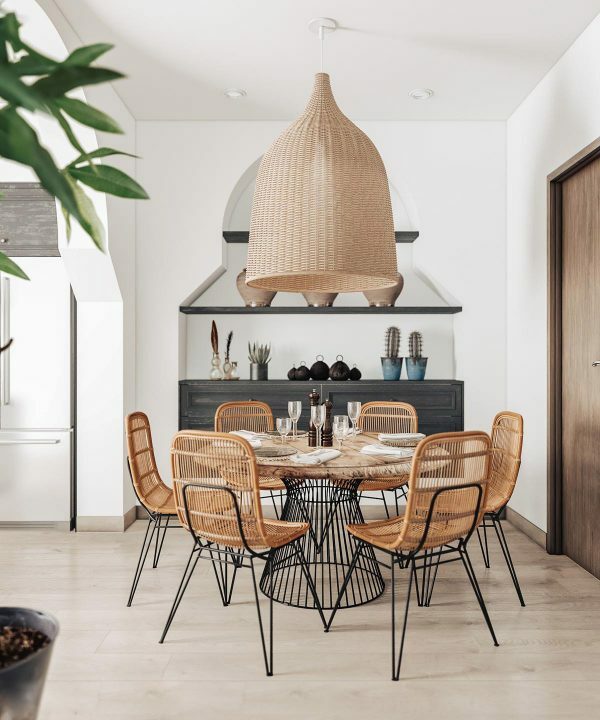 Sitting beneath another rattan shade (though this one being of a smaller scale), a chunky wooden dining table looks the part with a beautiful live edge. An eclectic mix of colourful rattan dining chairs and an upholstered banquette bench seat sets this dining suite apart from the rest. 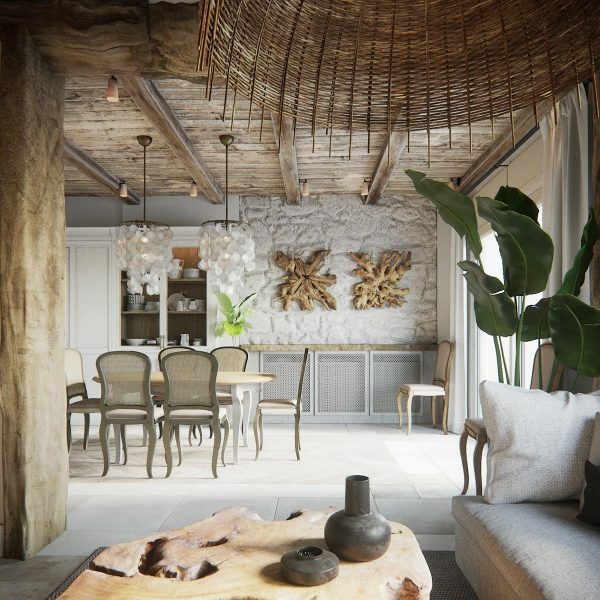 This mediterranean rustic chic decor scheme has a wonderful sense of sophisticated refinement about it. 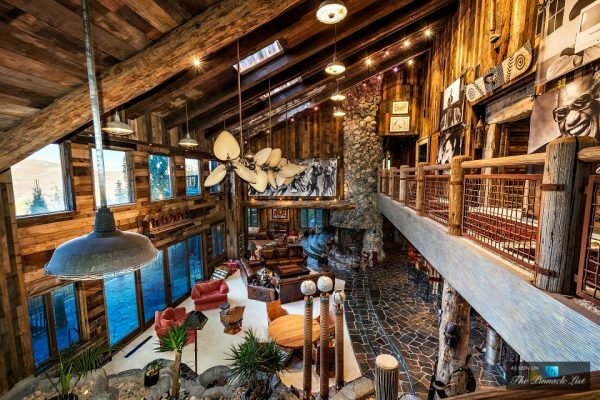 The roaring fireplace set atop a large store of cut logs makes the perfect accompaniment. Rustic decor is mixed with coastal flavour here. 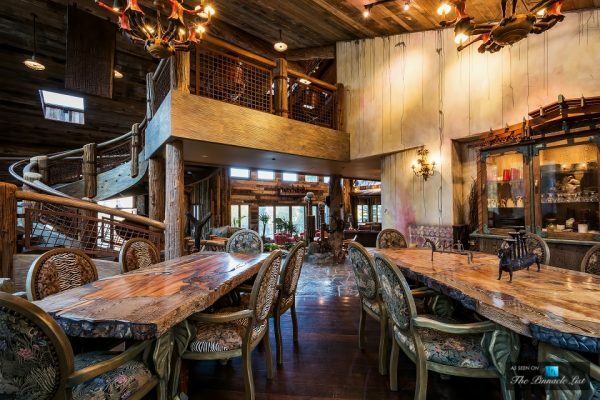 Driftwood artwork is mounted on one wall, and two mother-of-pearl chandeliers shimmer over the elegant dining table. 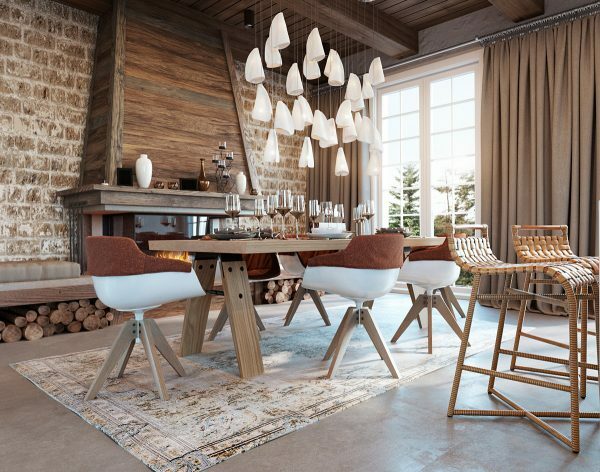 Three simple white dining room pendant lights with rustic style light up a wooden dining table. Beneath a raw wood dining surface, the legs have been painted white to give a clean and fresh modern finish. 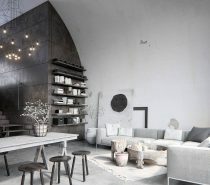 Rustic and industrial are two aesthetics that meld perfectly together. Here a set of stools have been teamed with a long tressle table. 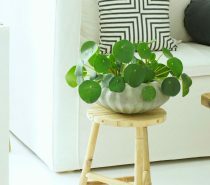 A concrete and metal planter decorates one end. 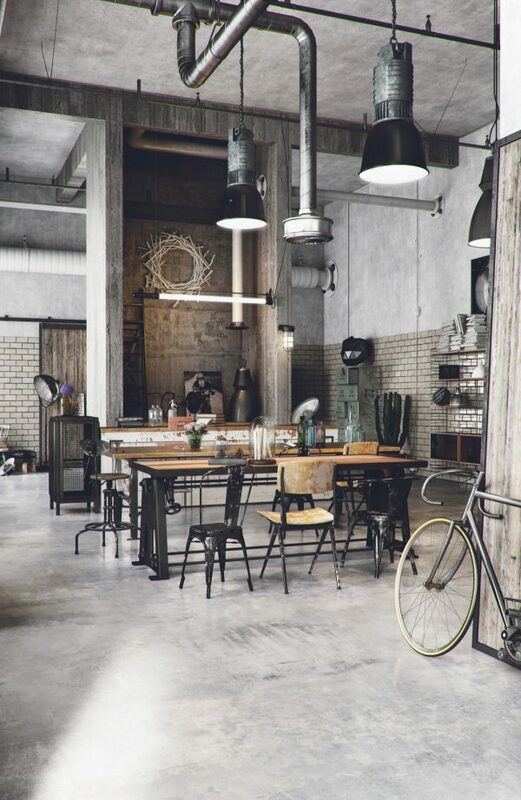 This rustic industrial dining room uses a mixed bag of dining chairs and stools, each with their own patina. 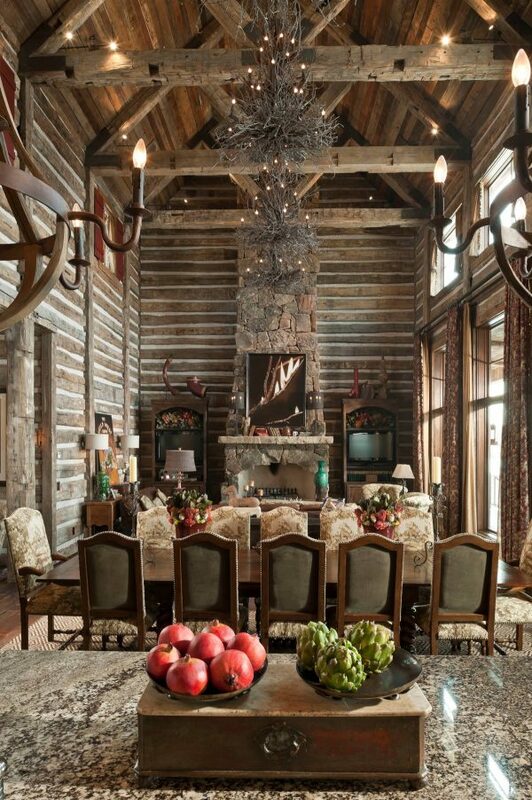 Faux fur throws give this dining room a cosy rustic flourish, and softens hard wooden seats. 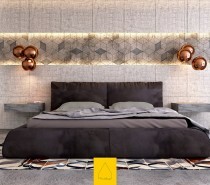 Over at the other end of the room, a daybed receives the same treatment. Festoon string lights zigzag across a glass panelled ceiling, all set to add twinkling light overhead during late evening meals and nighttime festivities. A natural weave rug keeps things a little toastier underfoot by creating a barrier over a cold stone floor. 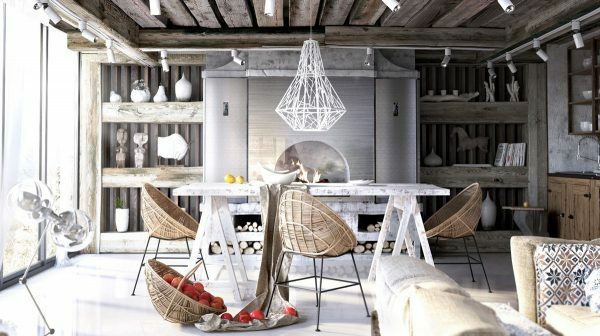 Unique rattan basket chairs surround a whitewashed tressel table. 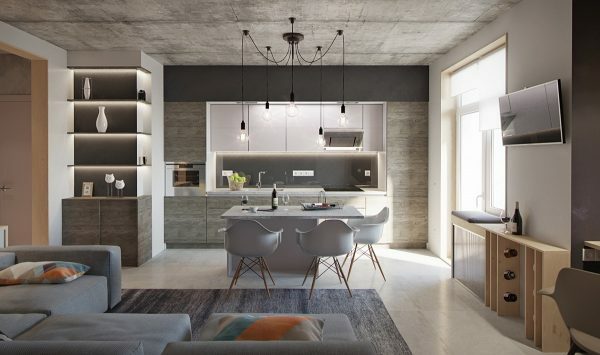 A large geometric pendant light adds a contemporary edge. This dining space has a tribal influence, brought in the form of a monochrome tribal print wall hanging and matching cloth napkins. A set of four chairs are made up from two black painted wooden seats and two in natural rattan. 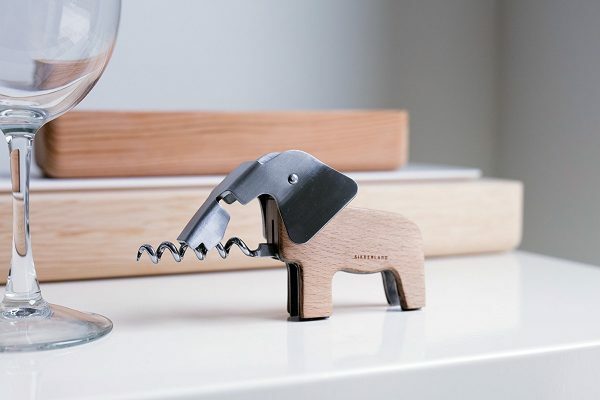 The slight mismatch brings a good dose of personality and individuality. 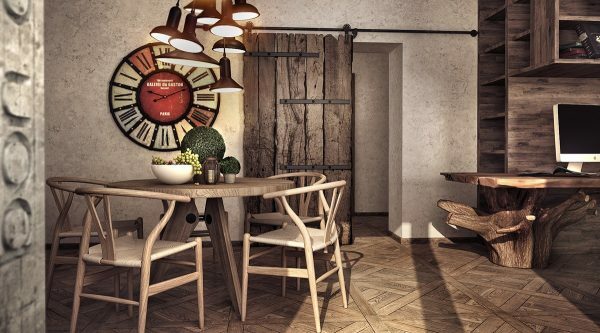 In this space, a sleek dining table and geo dining chairs look particularly modern, but teamed with a distressed wooden feature wall and a steampunk clock the suite settles into a rustic vibe. A dining table with drawers provides perfect on-hand storage for cutlery, placemats and napkins. The basket of fruit and vases full of garden flowers make a particularly sweet rustic centrepiece. These sleek modern dining chairs work brilliantly with the shape and colour of the industrial style lighting. 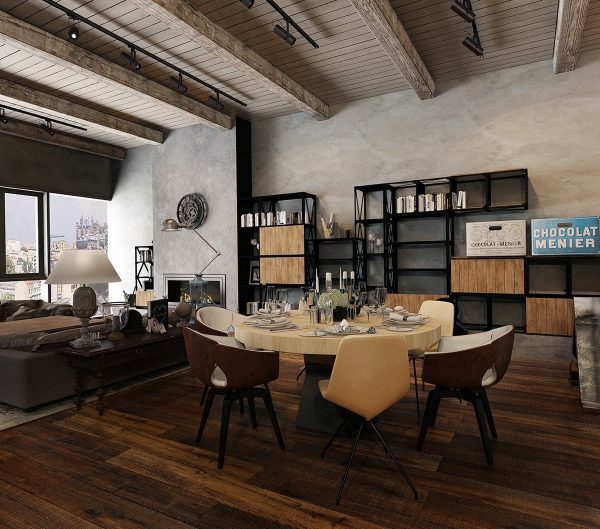 Rustic wood and metal shelving units provide a great backdrop to this refined dining area. 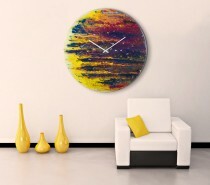 A large wall clock can also fill up an empty dining room wall. This colourful one looks great beside the authentic barn door and cluster pendant lights. 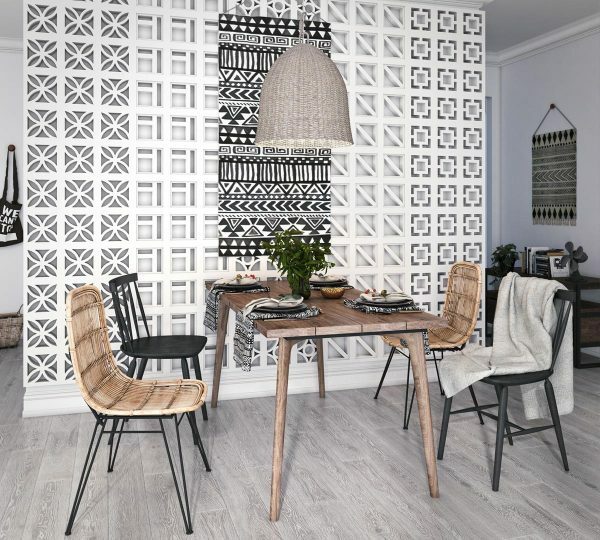 This small scale rustic dining room ensemble sits atop a bold geometric tile floor. 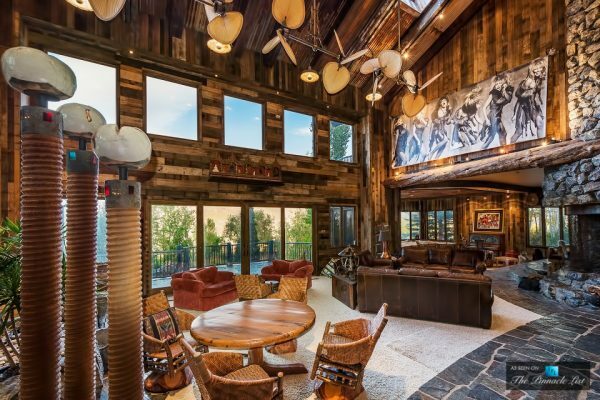 Amazing exposed wooden rafters do all the talking in this lofty rustic interior. 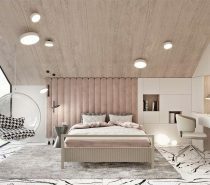 In the centre of a long wooden table, two tall candlesticks are almost tall enough to touch the trio of slim pendant lights. Rustic dining benches are a great way to go if you have a very large family or a fluctuating number of guests – there’s always room for one more when you can shuffle up a little closer! 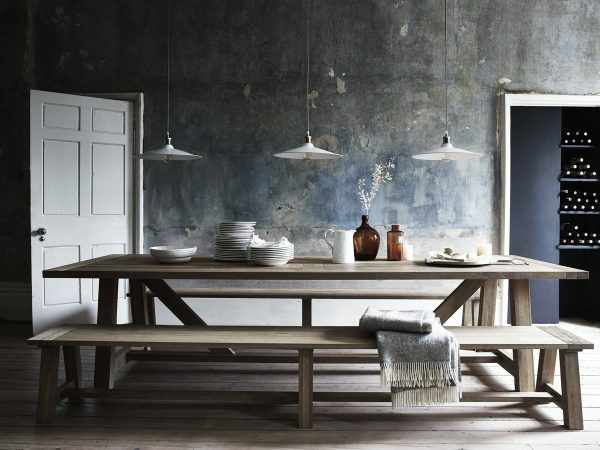 Dining benches offer a laid-back minimalist look, with no chair backs or a multitude of legs to clutter up the visual. 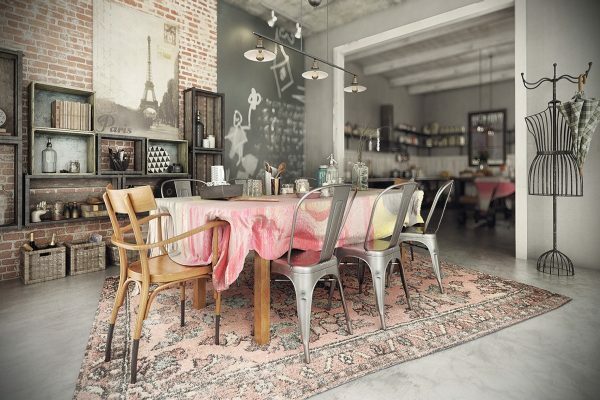 A pretty tablecloth adds an unexpected pop of delicate colour over an industrial dining set. More dining benches, but this time rather than just two extra long seats we have four smaller pieces. Classically upholstered chairs bring a touch of tradition to a rustic space. This vibrant area rug steals the spotlight beneath a pale dining set. 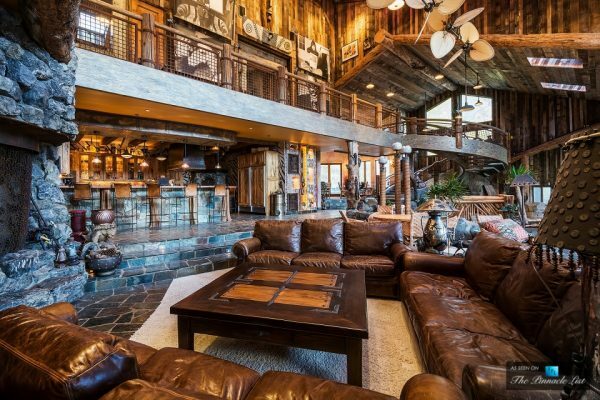 The dining set in this home would fit in with many different styles of interior decor but the towering cut log feature wall positively screams rustic. 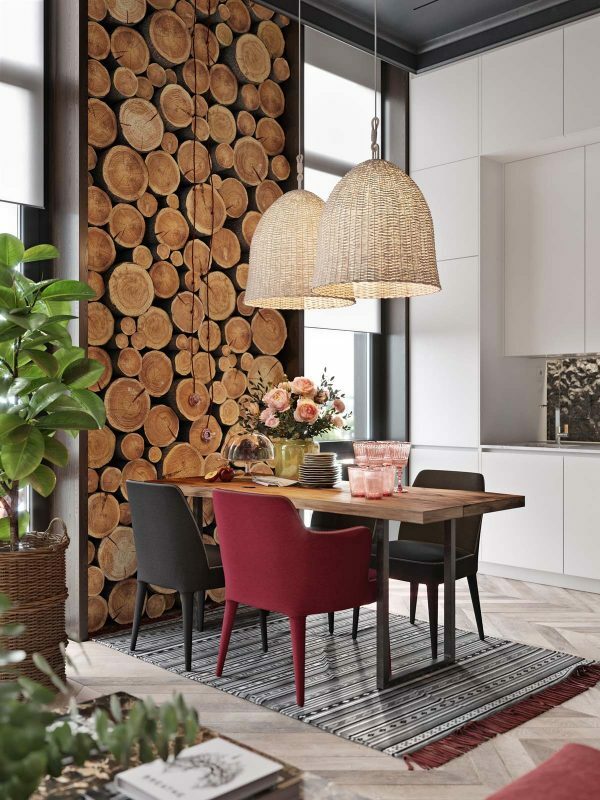 The logs, teamed with two huge rattan lampshades and a red accent dining chair, really warm up a cold white kitchen diner space. 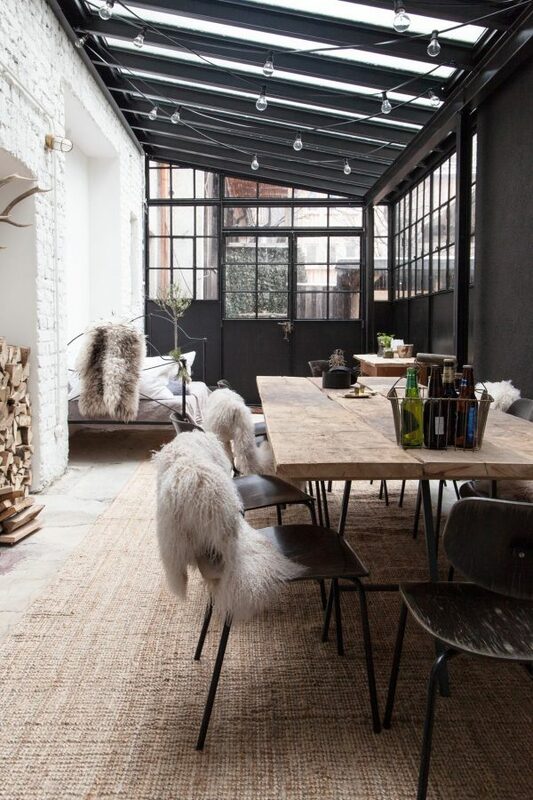 The tribal print rug finishes off the tiny but tenacious dining spot. 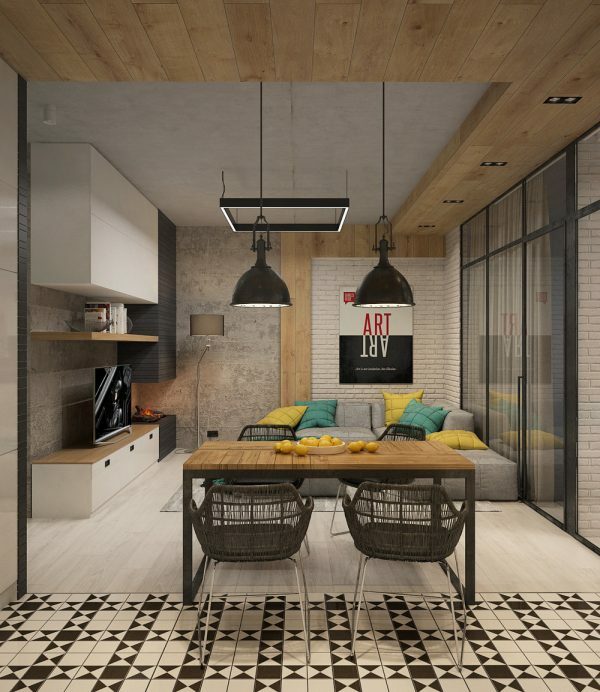 This modern tribal chic home has a pale wood dining bench tucked neatly behind a sofa, coupled with contrasting black bar stools. Metal chairs work well alongside wooden ones. Exposed bulb pendants on extendable wires can be spread as far and wide as needed. Consider opting for brightly coloured wiring for an extra eye-catching lighting installation. … And a little romance! 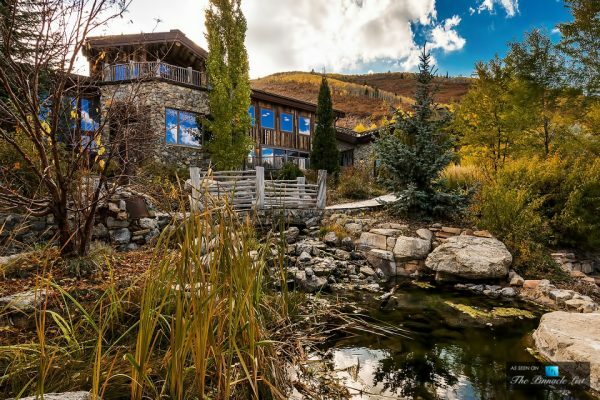 This amazing rustic mansion in Park City, Utah, USA is set on a mountaintop, in its own private 4.3 acres of woodland. 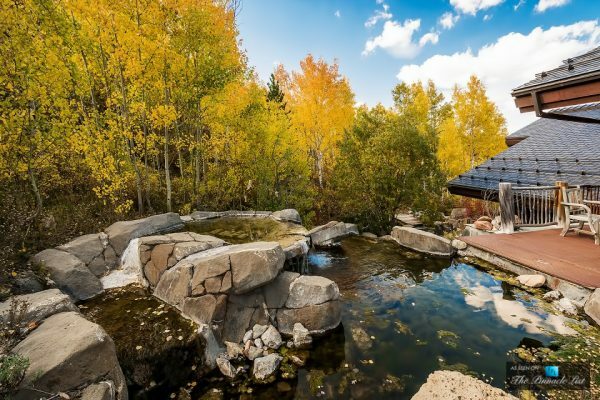 The enchanting home was built in 1996 with multiple outdoor entertainment and relaxation areas. 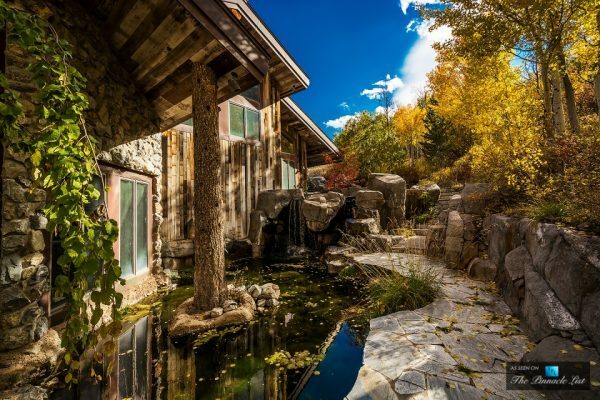 With so much of natures beauty to enjoy, you might wonder if the owners would ever wish to go indoors… But this dwelling holds an extraordinary surprise feature. 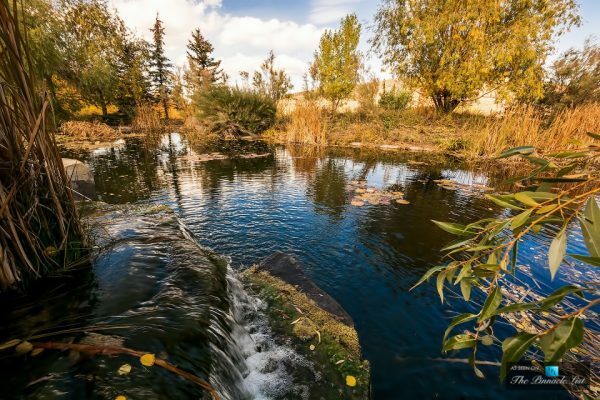 A river runs right through the centre of the interior, flanked by extensive volumes of natural rock, so that you need never feel separated from nature. Best of all, this house is up for grabs! That is, if you have a spare $9,400,000 laying around. 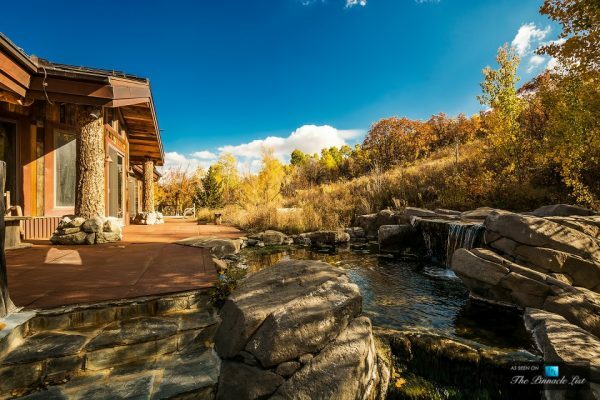 The exterior of this home reflects the natural elements that surround it. 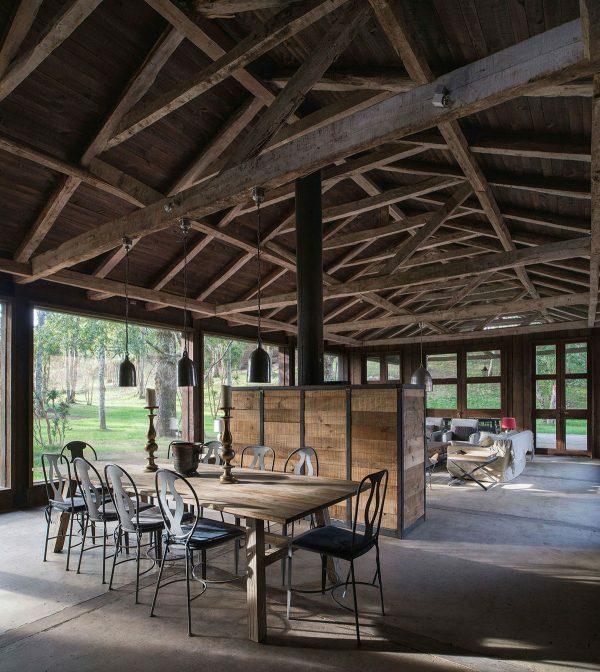 Built from raw timber and rustic rock the façade looks like it could have grown from the land itself. 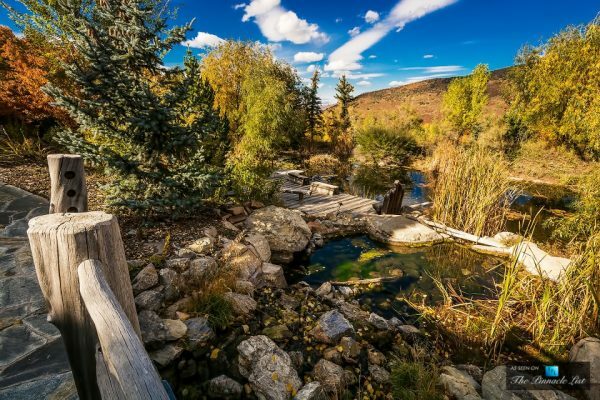 The mountaintop beauty spot is awash with the sound of cascading waterfalls from the ponds and birdsong from the trees. 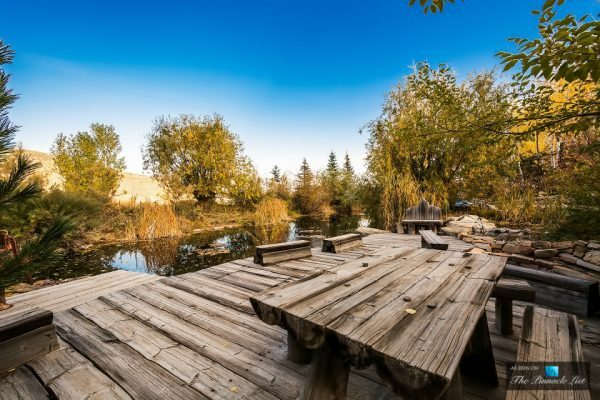 Decks around the home exterior enjoy views over the ponds, the changing colours of the trees and bright skies. 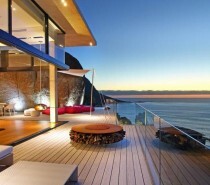 Outdoor relaxation would never grow dull with so many stunning aspects to soak up and enjoy. Nature seems to hug this home. 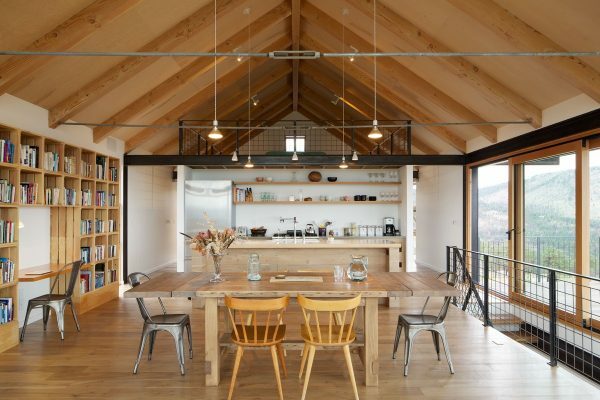 All aspects of this house have been kept raw and honest to blend in with the natural beauty spot. An exterior chunky wooden balustrade around the edge of a stone patio, and the central wooden deck with dining benches, settle in quietly with surroundings rather than shouting out their presence. 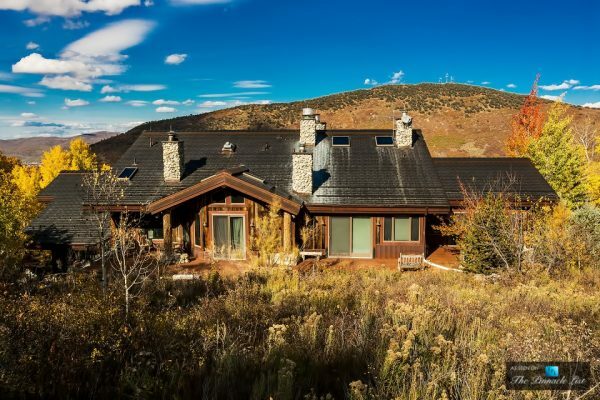 Although the location feels remote, the residence is located within just a mile of Park City and Deer Valley ski resorts. 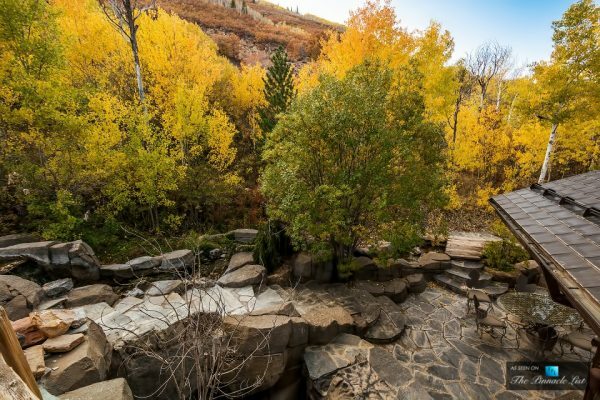 Outdoor staircases are almost camouflaged. 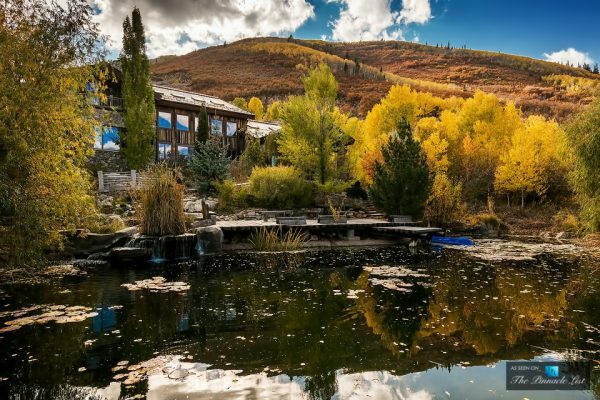 This distinctive property could demand an astounding $10,000 a day for rental. No neighbours to disturb the peace here. The rich changing tones of exterior timbers have a stunning striped effect over the vast house. 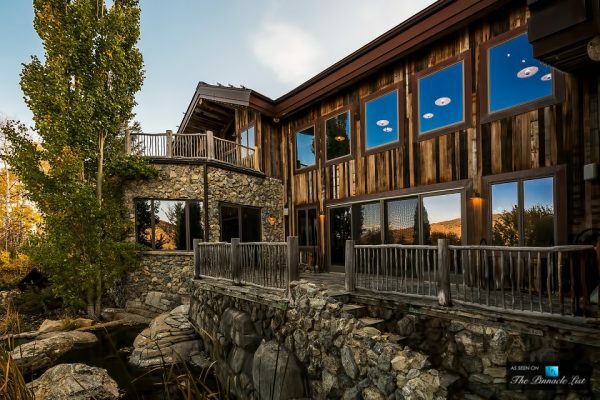 Huge windows allow the views to be soaked up whilst inside. 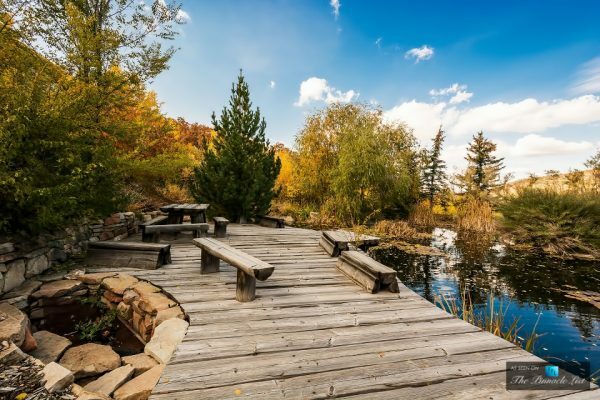 Decks are built around the structure at multiple levels to offer different viewpoints. 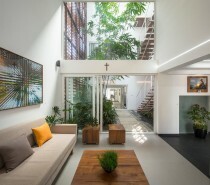 Natural light floods into the home. 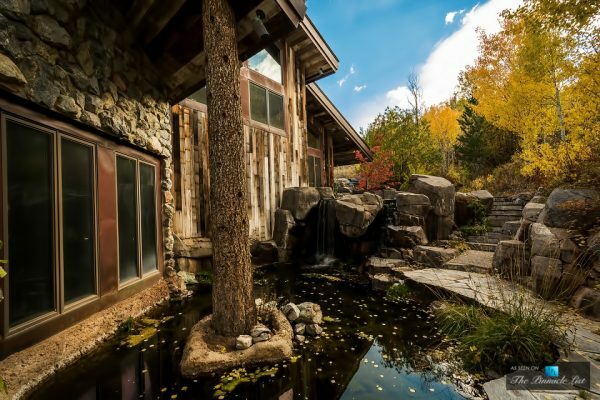 Water features are a special part of this sensationally unique home. 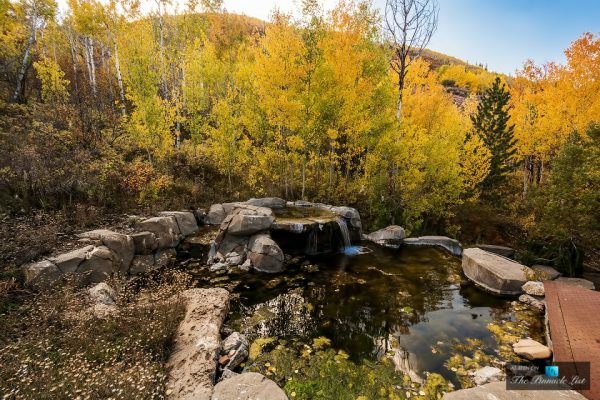 Tranquil pools can be found all around. Nature rushes right up to the doorstep. Dining alfresco is a given here. 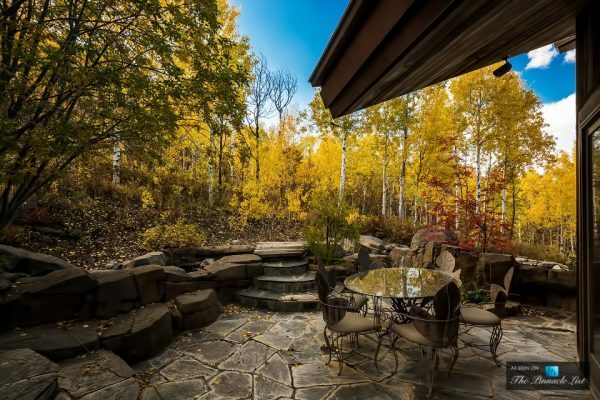 These leaf themed outdoor chairs make the perfect outdoor dining area for this space. 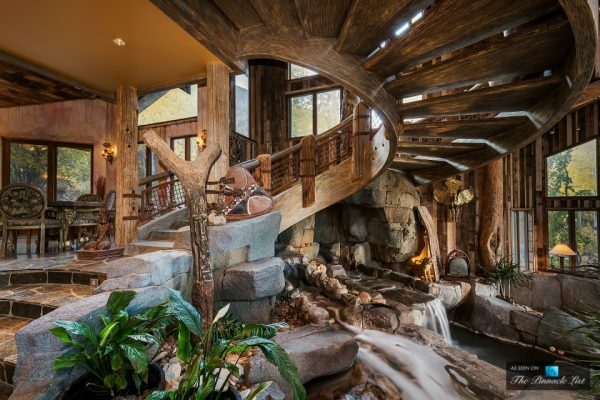 At last we go inside, but nature comes along with us via this incredible interior water feature. 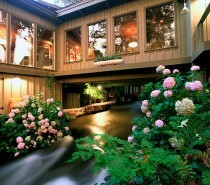 The water and natural rock are complemented by lush green indoor plants. 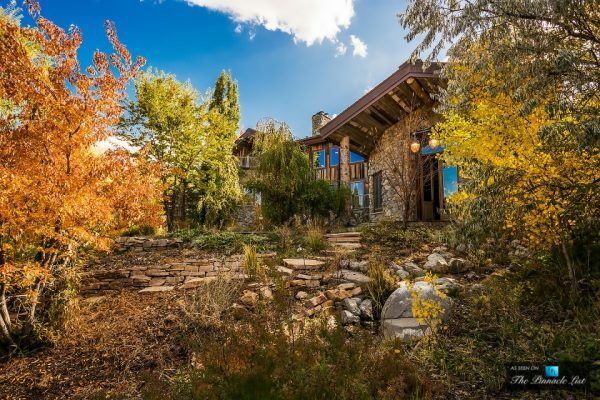 Extensive use of natural elements continues throughout, covering over 10,500 square feet of living space. 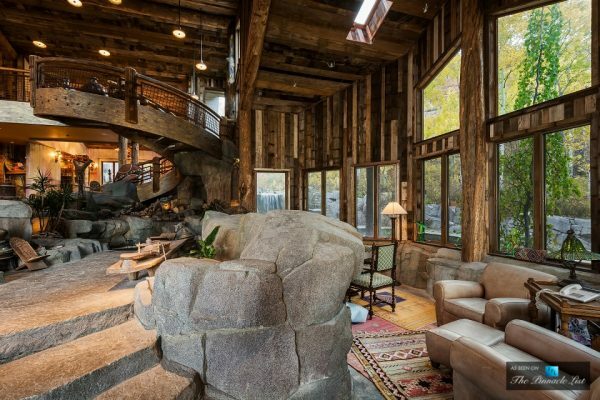 Rock, stone and reclaimed wood connect this interior with the Earth. We can even see a tree trunk running right through it. 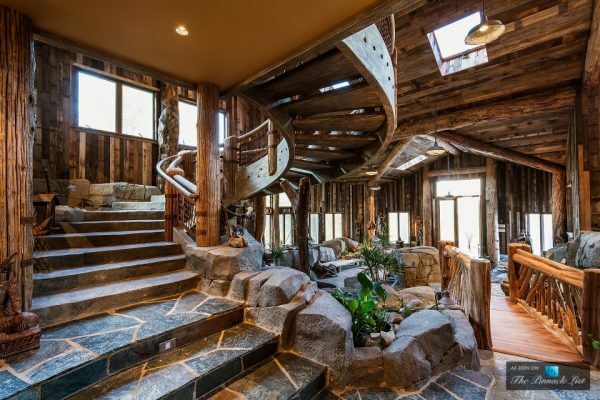 A stone staircase runs up and over to a spectacular wooden spiral staircase. A series of matured brown leather couches make up a rustic living room area, looking in on a central wooden coffee table. Beside it an enormous stone fireplace with a towering chimney breast heats the lofty space. (Watch the video at the end of this article to see this unique fireplace in action!) 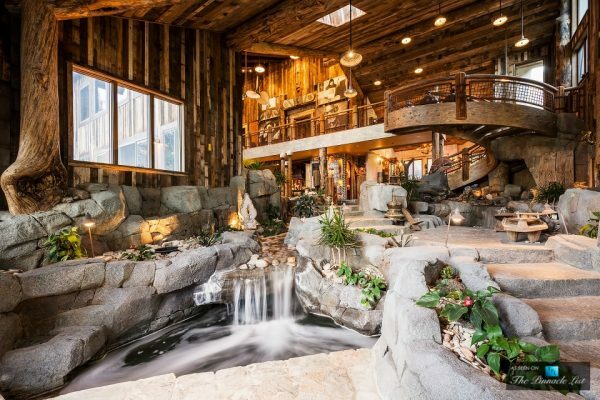 A mezzanine balcony runs alongside them, leading off into bedrooms and bathrooms. Black and white photography is placed prolifically around this enormous space, along with tribal art and accessories. Numerous unique ceiling fans rotate quickly overhead, keeping the grand living room cool and ventilated. 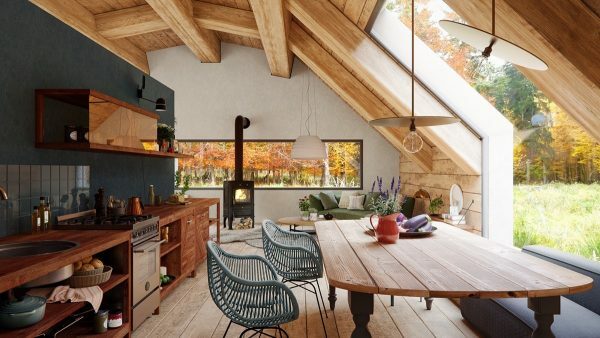 Rustic pendant lights also descend down from the rustic wooden ceiling, where roofline windows let in even more natural light and views of a clear blue sky. Tracks of smaller spotlights light the areas in between and around the edges. Looking down we can see the extensive stonework over the floor and steps, mirroring that of the sprawling patio outside beyond the glass doors and picture windows. 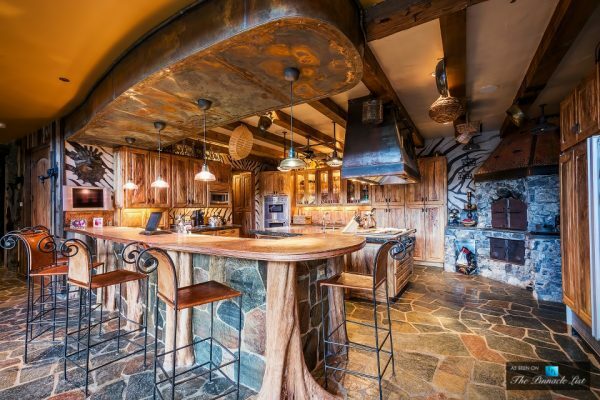 Four kitchen stools with scrolling metalwork frames are placed along the side of a smooth countertop that looks like it is rooted right into the floor. The surface looks as though it might have sprouted just to provide a comfortable place to sit and chat with the chef, and as a spot for casual dining. 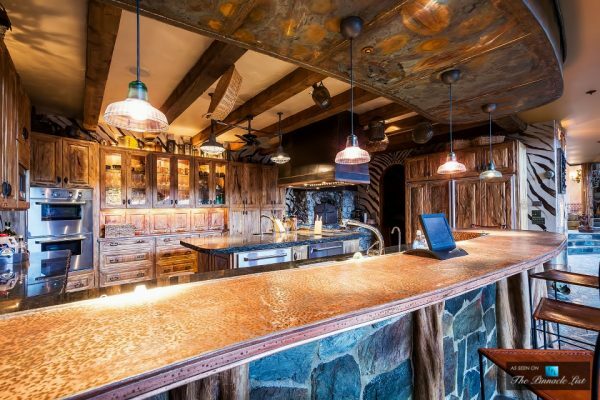 Four petite glass kitchen pendant lights illuminate the wood and stone installation. 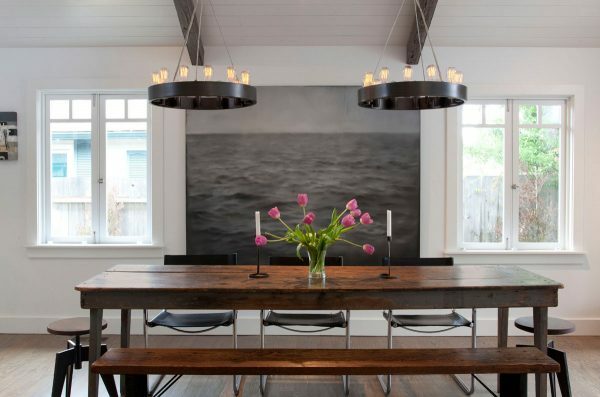 The low-hanging breakfast bar pendant lights draw the eye up to appreciate the beautiful patina over a metal volume above the dining bench. The rest of the gourmet kitchen is an extensive selection of wooden cabinetry, some with glass doors to showcase the contents. A central island holds an extra sink and prep surface. 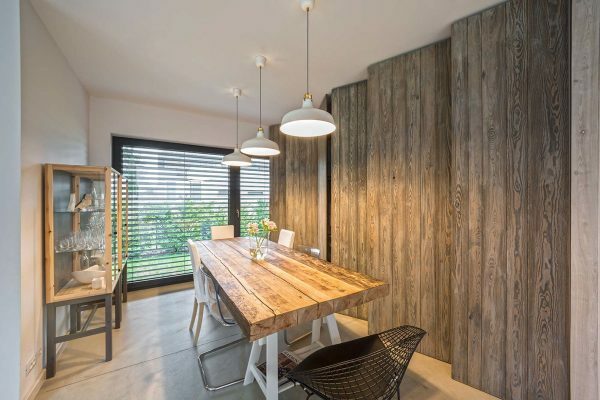 A step up to this rustic dining room has an undulating profile, lit by a floor level light. 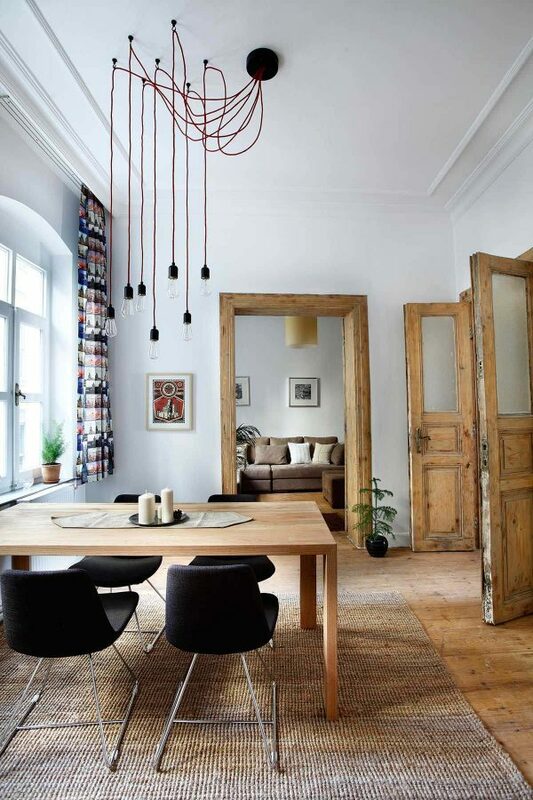 Two dining pendants hang above two banquet tables. 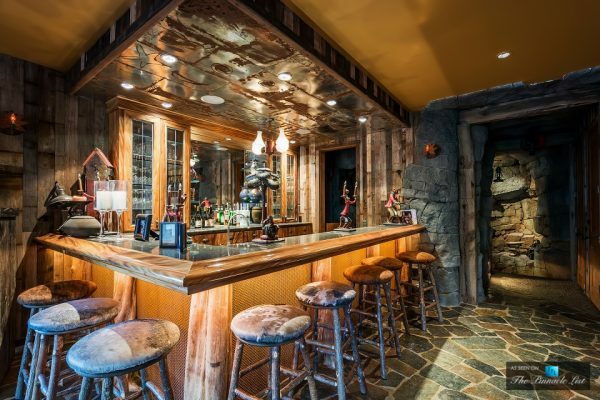 Everything about this 9 bedroom home is geared toward having guests come to stay, including this wet bar with eight bar stools. 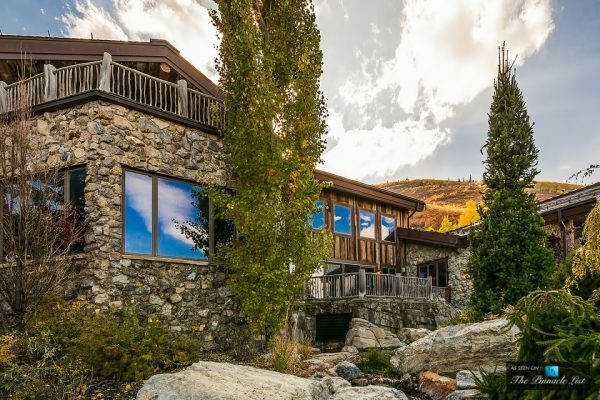 The huge home also has 7 full bathrooms and 3 half bathrooms. 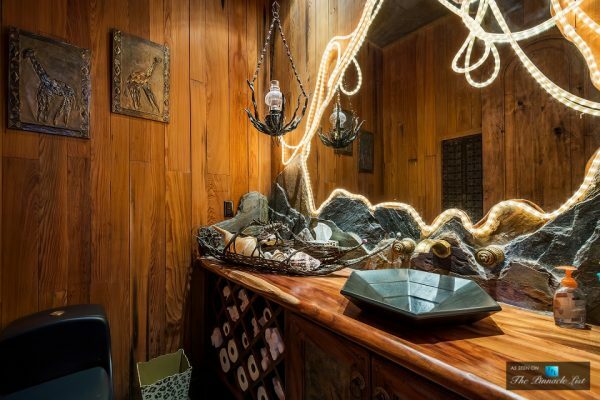 This one stands out with quirky octopus decor. 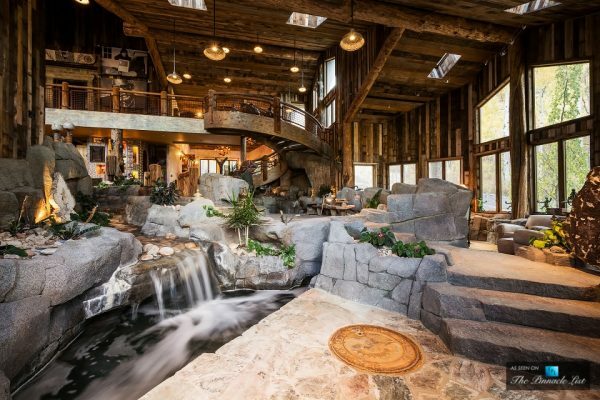 A little wooden bridge crosses the unique indoor rock and water feature. The formal dining room seats 12 diners at long live edge dining tables. 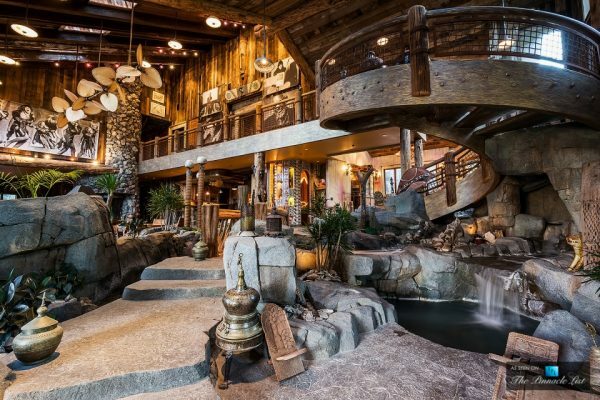 Behind it the amazing spiral staircase climbs to the top of the 2-story great room. 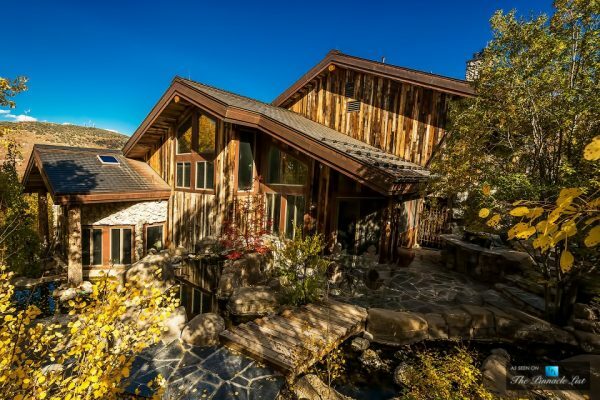 If this magnificent mountain retreat made you swoon, then be sure to check out: Amazing House Built Across A River. Give built-ins extra flair by following the architectural lines of the room. Image: MMM Architects Ltd. Forgo a traditional closet in favor of adding a clothes rack, which provides trendy storage for a fraction of the space. Image: Hibou Design & Co.
Swap out upper cabinets for some chic and modern open shelving. Image: Mike Schaap Builders Inc.
Take advantage of unused space under the stairs by adding a few creative cubby holes. Image: Structures Building Inc. 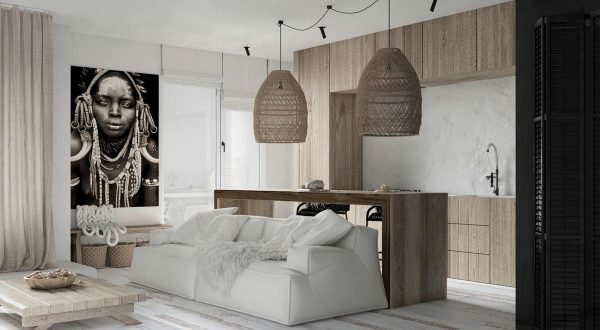 The post You’ll Flip For These 14 Easy, Inspiring Ways to Include Storage in Your Décor appeared first on Freshome.com. The coffee table is a fickle friend. Positioned smack bang in your lounge’s centre, it offers a place for small items – but as a place for small items, it also attracts clutter. Whether you’re hiding a magazine or a full-blown closet, we’ve picked out 33 coffee tables that can store your tidbits whilst offering a lifted surface. 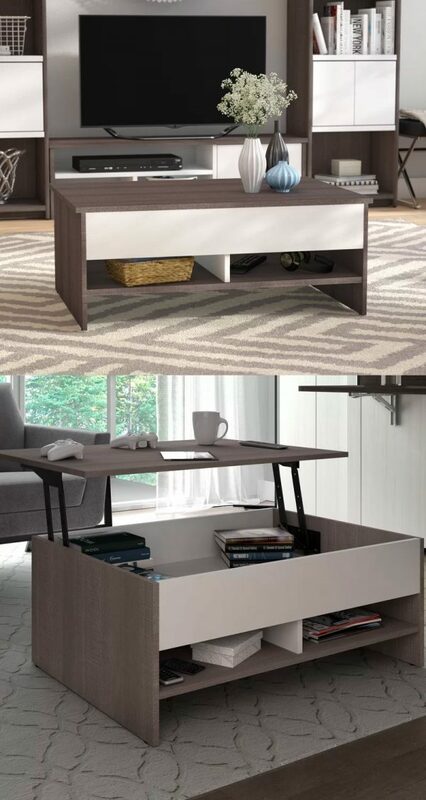 Store your gadgets away, as your table lifts to a desk. 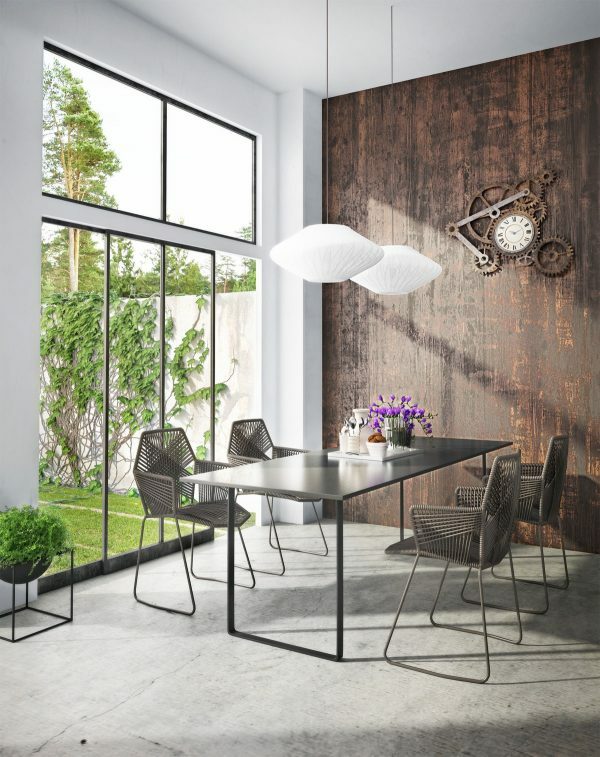 Gas-lift your table vertically, to reveal four faux-leather chairs for unexpected guests. 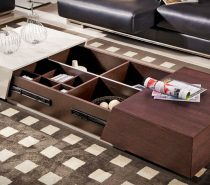 Find more innovative ways to store items and avoid bending, with our top list for top-lift coffee tables. 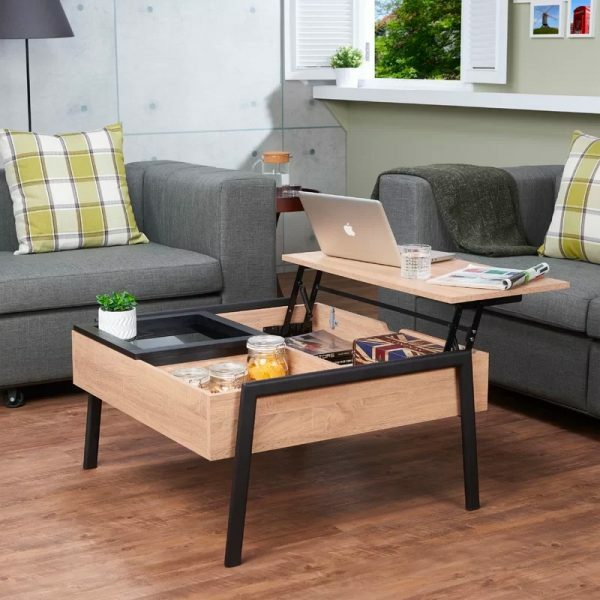 Modern Wooden Lift Top Coffee Table With Storage: Love working at home? 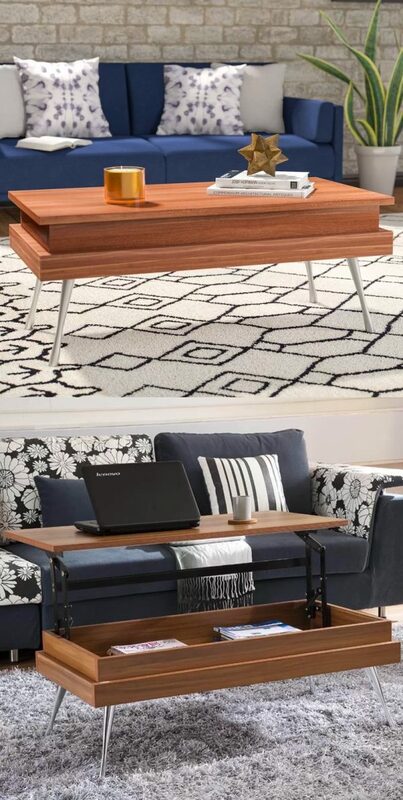 This wooden coffee table with polished chrome legs lifts up and towards you, so you can edit spreadsheets on the couch. A handy hollow inner hides distracting magazines. 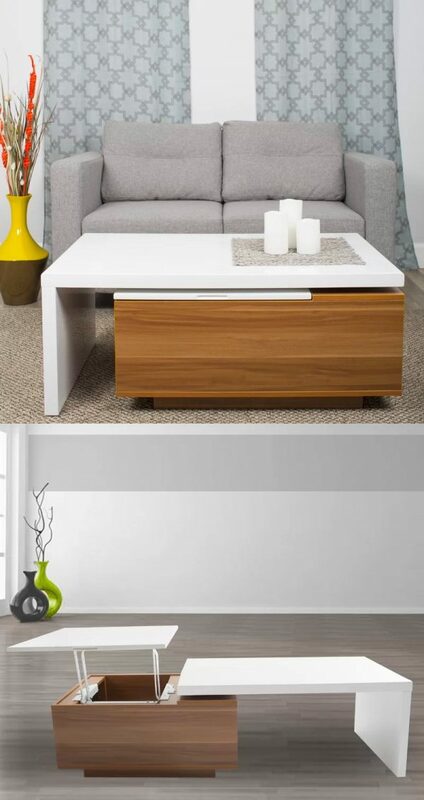 Minimalist Coffee Table With Lift Top Unit: At first a compact table, this wood and white lacquer find can stretch its top 360 degrees. Lift up the smaller panel for coffee, the longer for detailed planning, as your everyday tidbits hide in its centre. Stylish White & Walnut Lift Top Coffee Table: Stylishly fronted with walnut, this white, lift-top coffee table doesn’t require setting up. Pair it with a white suite and fluffy rug, to watch TV during mealtime. 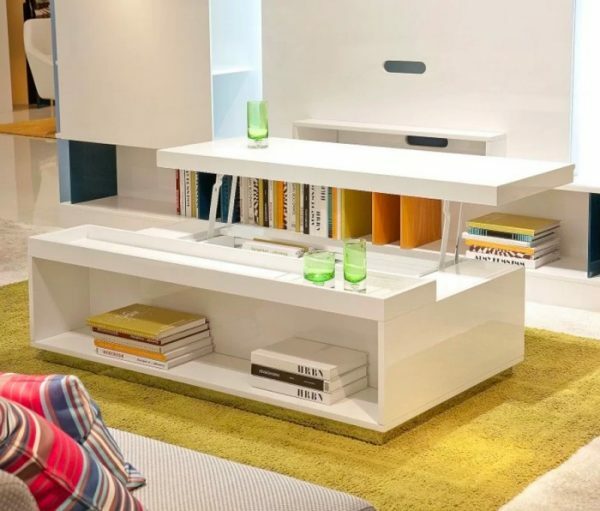 Modern Scandinavian-Style Lift Top Coffee Table With Storage: Want a table that mixes and matches? 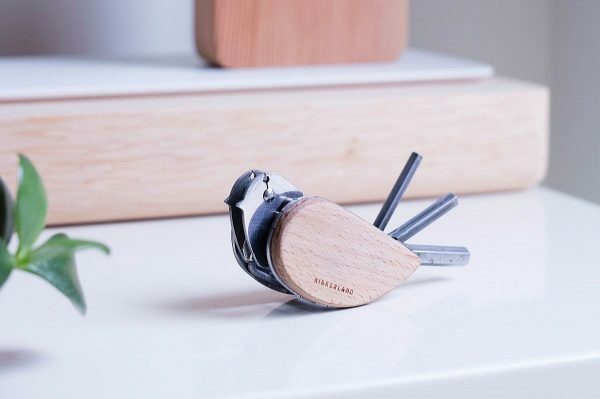 This innovative, four-square beauty in chipboard lets you lift up a desk square, whilst hiding your accessories and charging plugs in storage cabinets underneath. Gas Lift Transforming Coffee Table: Want to seat more people, but don’t have the space? This hydraulic gas-lift table hides four faux-leather seats. 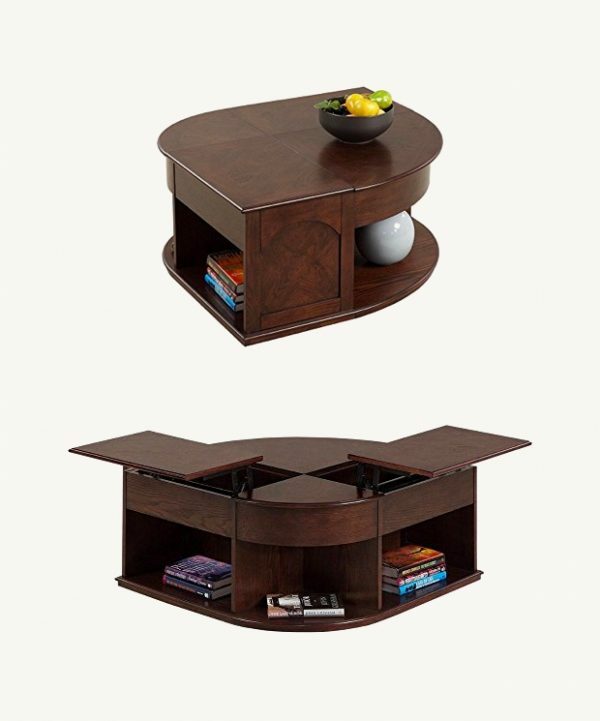 Extend its cherry wood top from 20-30 inches, and pop open the stools for some extra storage. 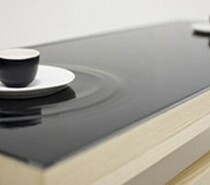 Square Lift Top Coffee Table With Tempered Glass Tray: This multi-dextrous find is perfect for serving breakfast. 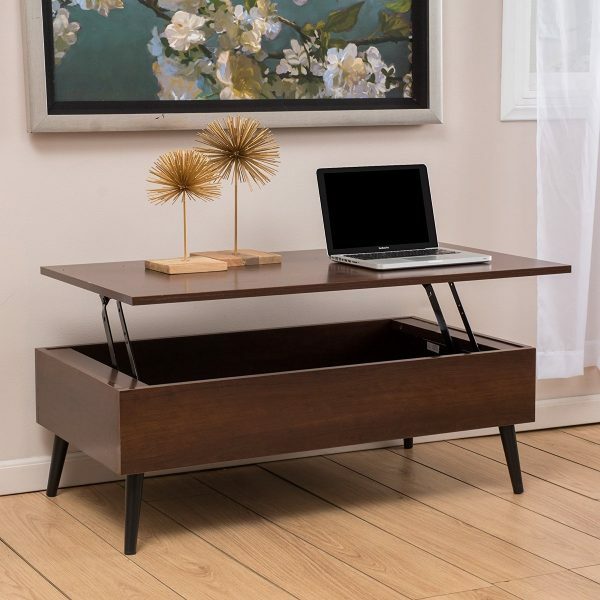 Inside its metal-legged frame, you can store your books and magazines, display precious items on glass, and get some extra work done with its liftable tray. 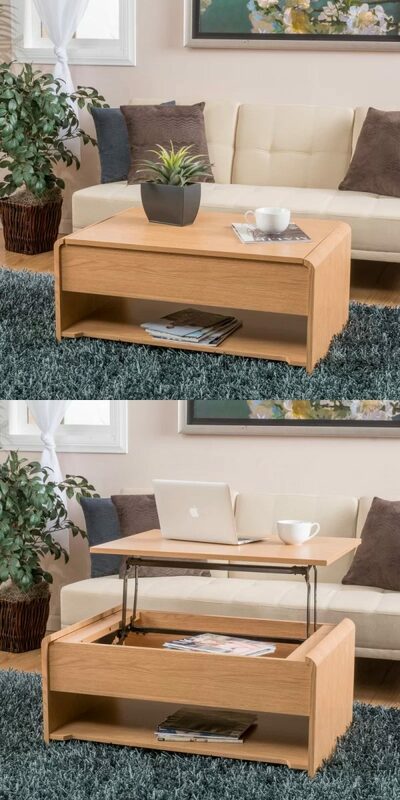 Small Cute Lift Top Coffee Table: Only need something small? 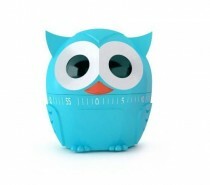 This rounded-edge cutie lifts up to a desktop, and down to cover up necessities you’d like to hide. A handy bottom shelf picks up books and magazines. 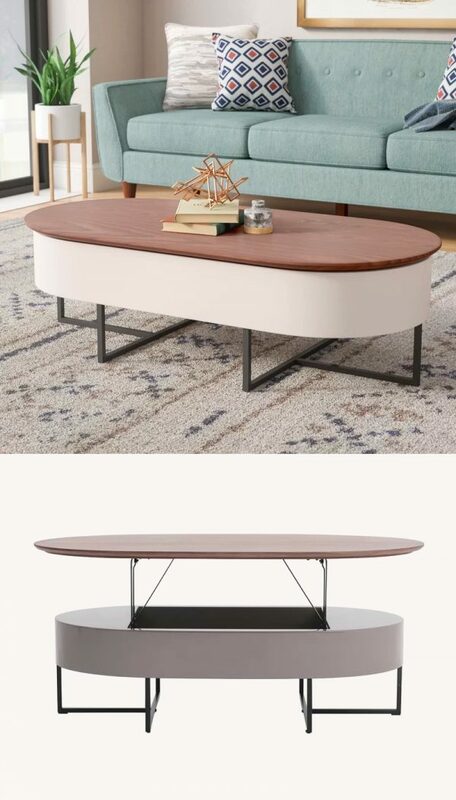 Dual Tone Lift Top Coffee Table With Storage: The mid-century modern lounge would love this oval design. 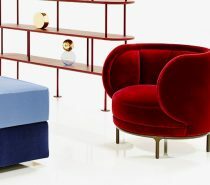 Made from mixed wood, its dual tones and hidden storage perfectly accompany a pastel-blue sofa and gold-tinted paintings. 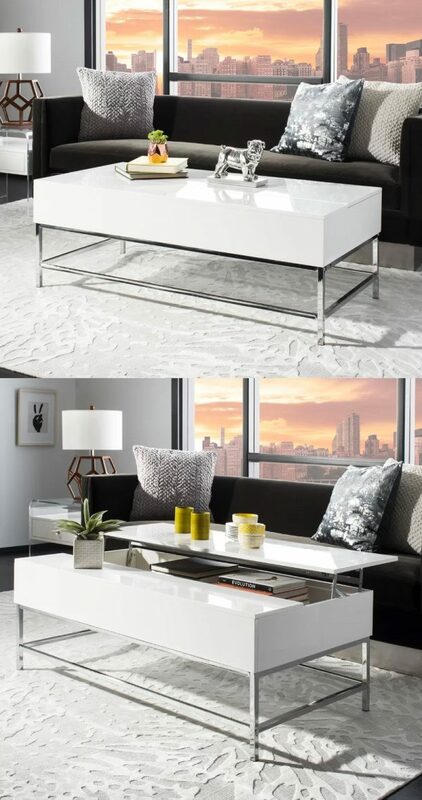 Contemporary White Lift Top Coffee Table With Metallic Legs: This wood, metal and white lacquered table is perfect for the city slicker. 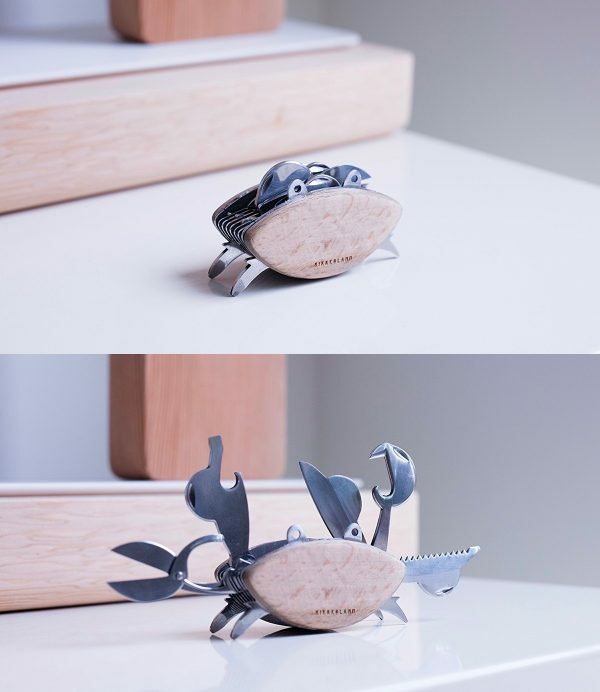 Pair it with subtle patterns and metallics to hide clutter. 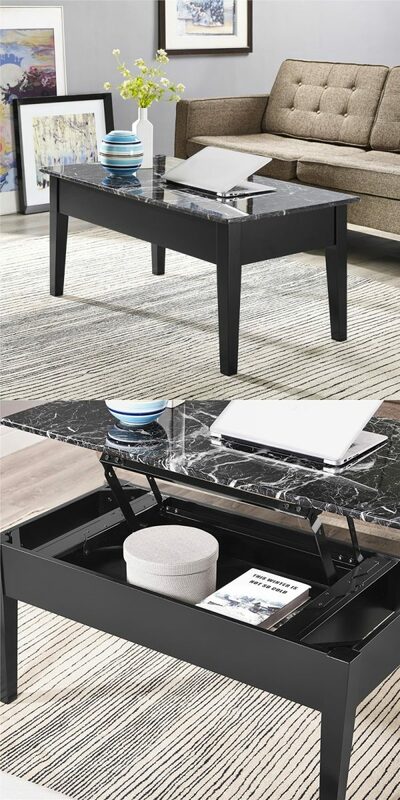 Modern Black Lift Top Coffee Table: Square chrome legs make this black gem a feature. 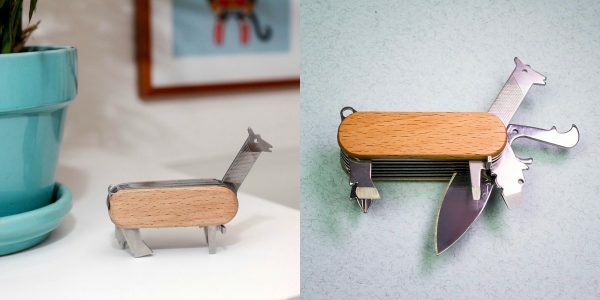 Slide its lacquered finish to the side for spare books and drinks, its other side towards you for working out finer details. Two deep compartments inside secrete away mess. Minimalist White Lacquer Lift Top Coffee Table: White and minimalist are the words for this white-lacquered coffee table. Lift its ledge out for Excel, or shelve work manuals for easy access. 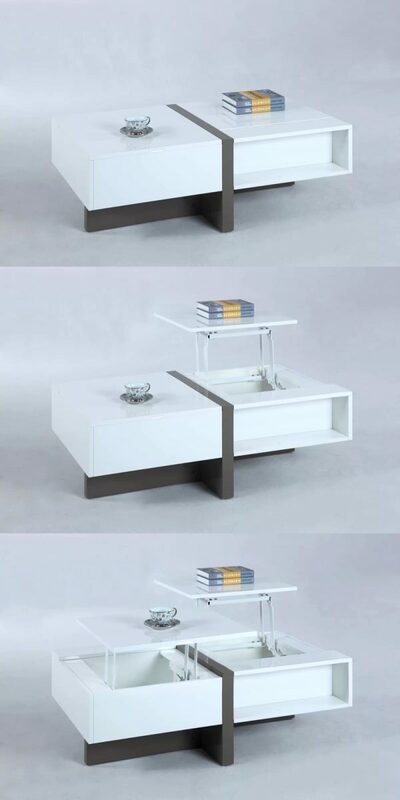 Expanding Coffee Table: Small spaces would appreciate this expanding coffee table. Small, white and compact in its original state, it can seat up to six when it’s fully extended. 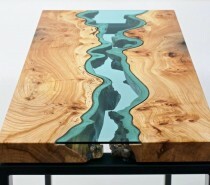 Coffee To Dinner Table Transformer: Want another option? This higher-based, chrome-legged table unfolds its top to seat six people. 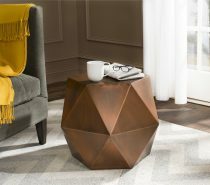 Expandable Transformer Coffee Table: Darker and cross-legged in a walnut wood finish, this expanding coffee table is less than a fifth of the price. A great partner for TV dinners, its surface folds over and legs fold up to a full-scale dinner table. Rectangular Wooden Lift Top Coffee Table: Another cost-effective option, this oak-stained table looks great holding vases or storing magazines. Lift up its top to avoid bending down. 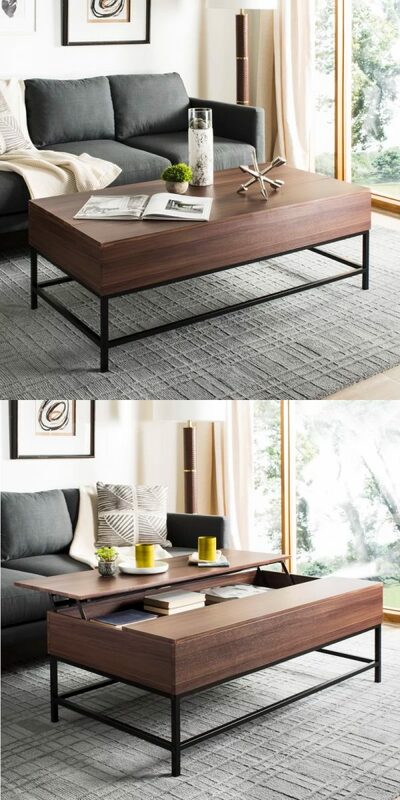 Brown Wood-Finish Lift Top Coffee Table: Black iron legs and MDF wood constructed this lift-top coffee table, a handy partner for quick meals. Stand it in an industrial-style living room, for a stylish way to hide basics. 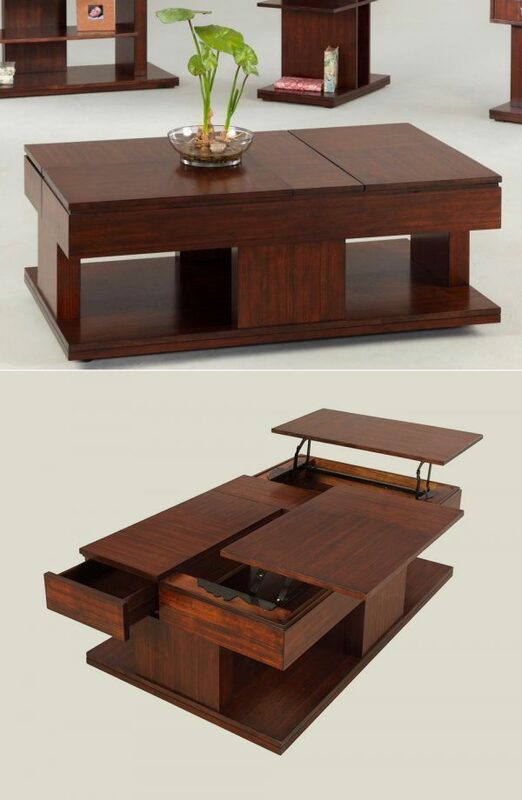 Mid-Century Modern Style Lift Top Coffee Table: Lift-top tables don’t have to forgo class. This stained mahogany find can house spare throws and pillows in your lounge or hallway. 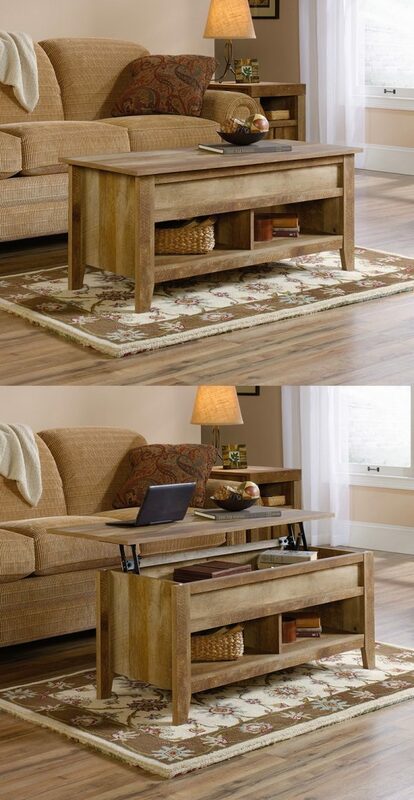 Double Lift Top Coffee Table With Hidden Casters: Don’t like the lift-top mechanism? Splay out the sides of these Mozambique veneers, whose hidden casters and side drawers ensure no prying guests will notice. 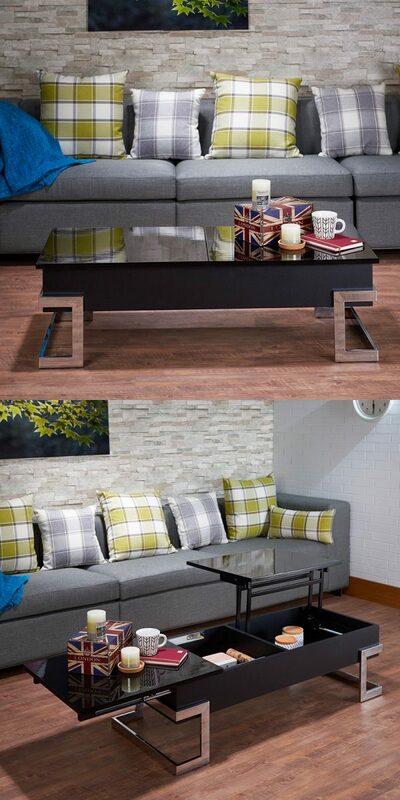 Modern Grey & White Lift Top Coffee Table: Divert scratches, stains and burns with this melamine-finish coffee table. Grey grains and two handy shelves beneath offer storage with a lift-top perfect for working. 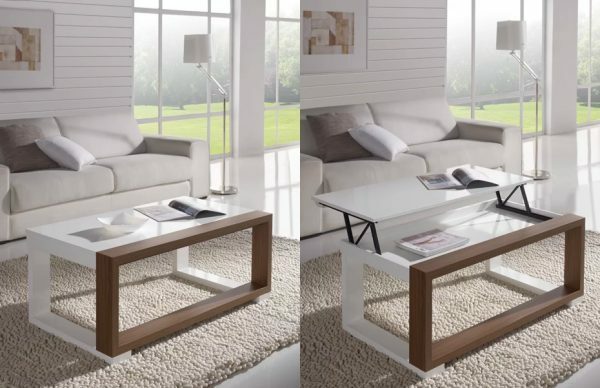 White & Gray High-Gloss Double Lift Top Coffee Table: Need lift tops for two? 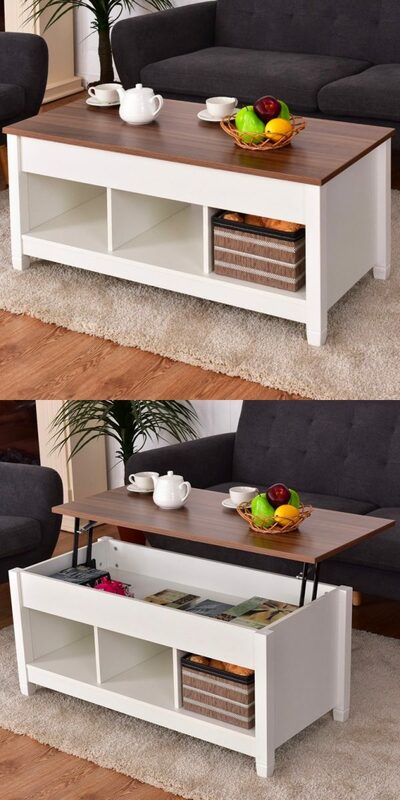 Featuring a one-year warranty, this white-lacquered cubic table stores books underneath and easy-reach coffee cups on top. 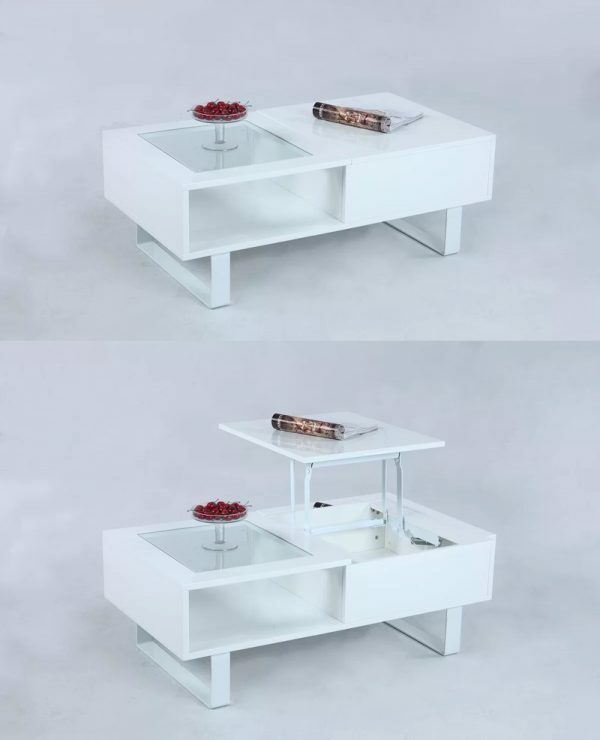 Modern White Lift Top Coffee Table With Tempered Glass Insert: Only need a little lift? 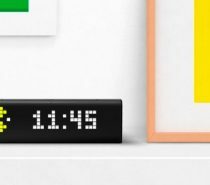 This similar design lifts one lid only, leaving room to display favourites under tempered glass. Lift Top Wood Top Coffee Table With Storage Underneath: Made of solid wood, chipboard and metal piece, this innovative lift-top table provides deep storage on its outer, shallow storage on its inner. 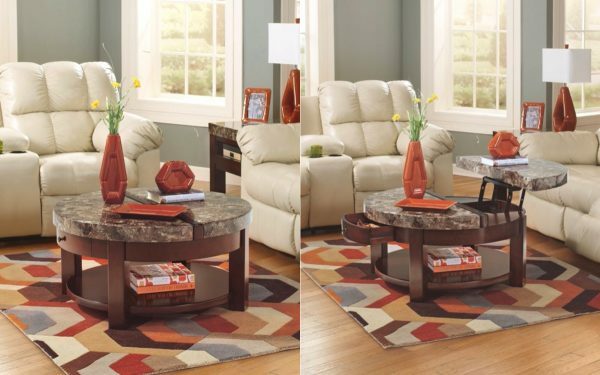 Faux Marble Lift Top Coffee Table: Want to house something a little more elaborate? This faux-marble table makes a splash, with a mechanical hinge showing space for knick-knacks. Faux Marble Top Round Lift Top Table: Prefer it round? Hand-finished with veneers, this faux-marble top lifts to a handy ledge for drinks. 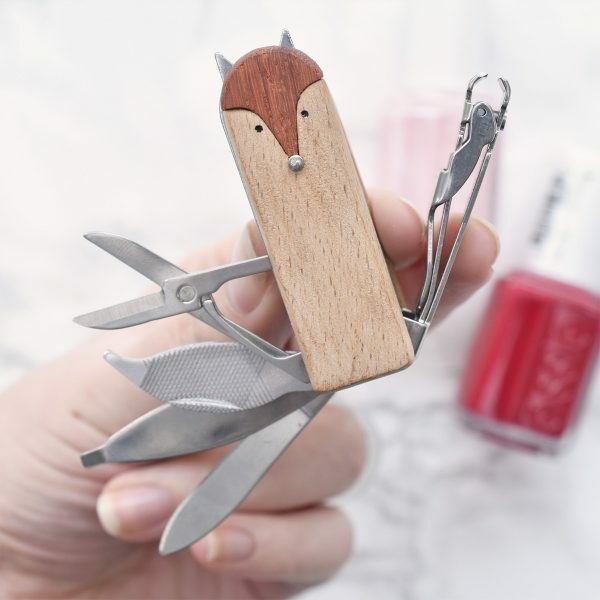 A drawer to the side offers storage. 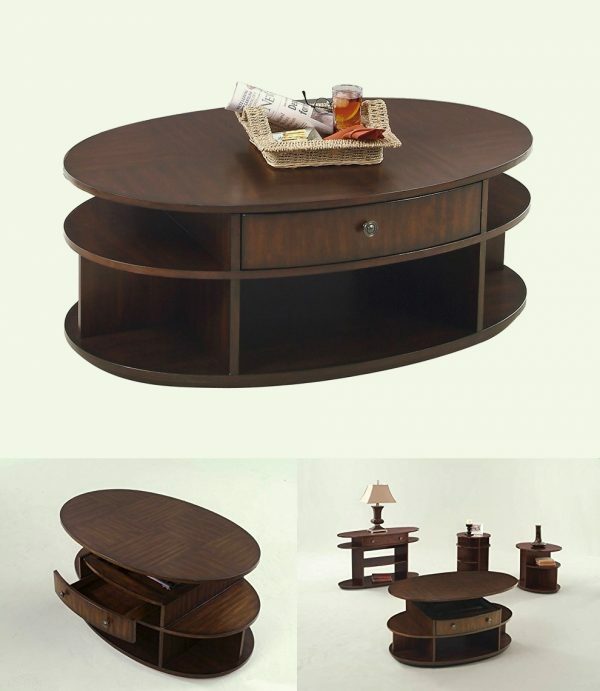 Oval Cherry Veneer Lift Top Coffee Table With Concealed Caster Wheels: Go for an antique look, with a layered oval table. Its cherry veneers lift vertically, while its concealed wheels roll to your desired destination. 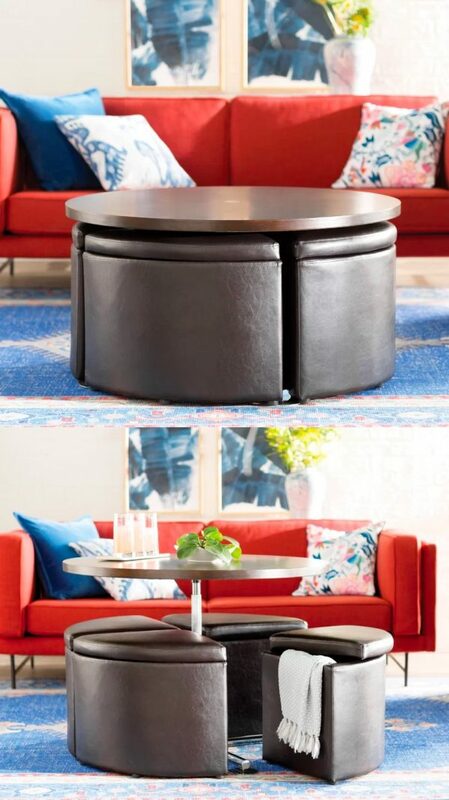 Unique Wedge-Shaped Double Lift Top Coffee Table: Find a lift-top coffee table that’s truly unique. This unusual tear-drop boasts concealed caster wheels, storage and two lifting surfaces in a medium ash finish. Wooden Oak Finish Coffee Table With Drawer: Raise your table higher in traditional oak. Complete with drawers and under-shelving, it’s a lovely addition to a classic family home. 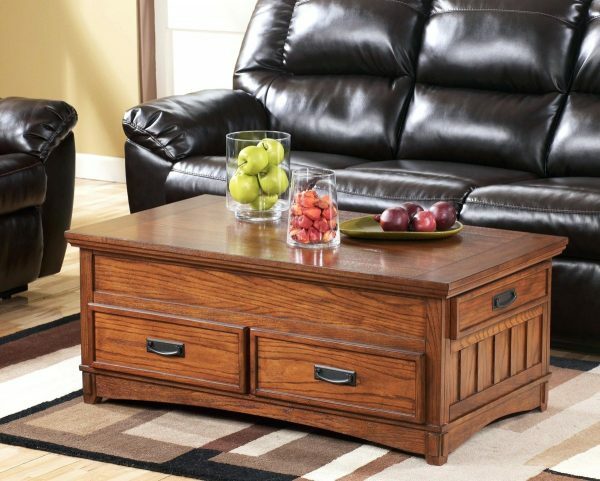 Craftsman Oak-Finish Lift Top Coffee Table: For something more rustic, this craftsman oak-finished table offers difference. 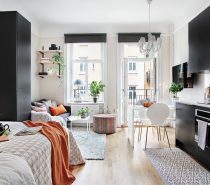 Match its lifting top and storage to an eclectic interior. 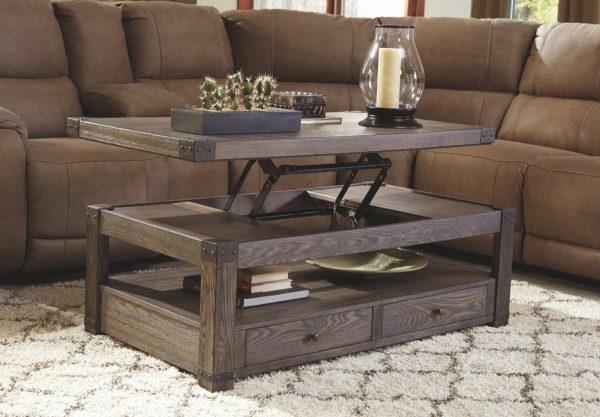 Rustic-Style Lift Top Coffee Table: Go a little darker, with this rustic lift-top table. Aged-finish metal combines with distressed wood for a handy bench and shelving. 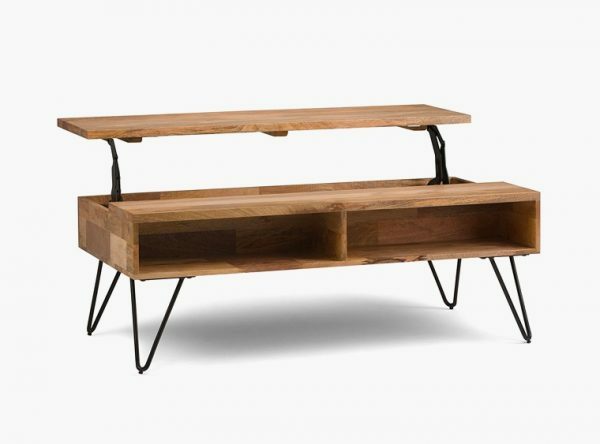 Industrial-Style Wood Finish Lift Top Coffee Table: Design your lift-top table with mid-century hairpin legs. Solid mango wood and iron combine in a roughshod, industrial finish. 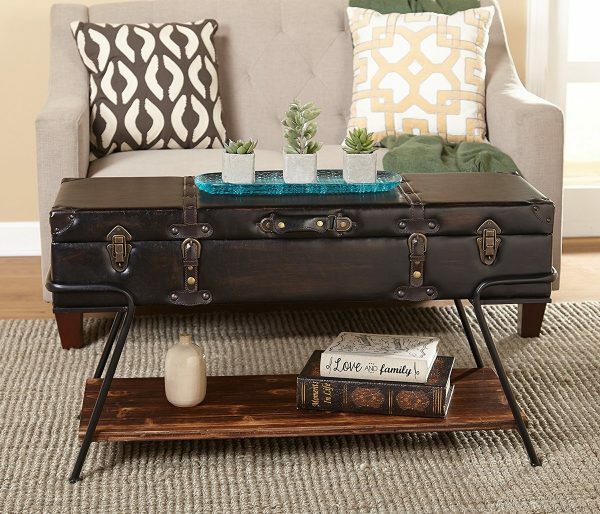 Trunk Coffee Table With Lift Top: Travellers can’t go past this suitcase-style table. Store books underneath and tidbits in the luggage, for a handy piece of travel home décor. 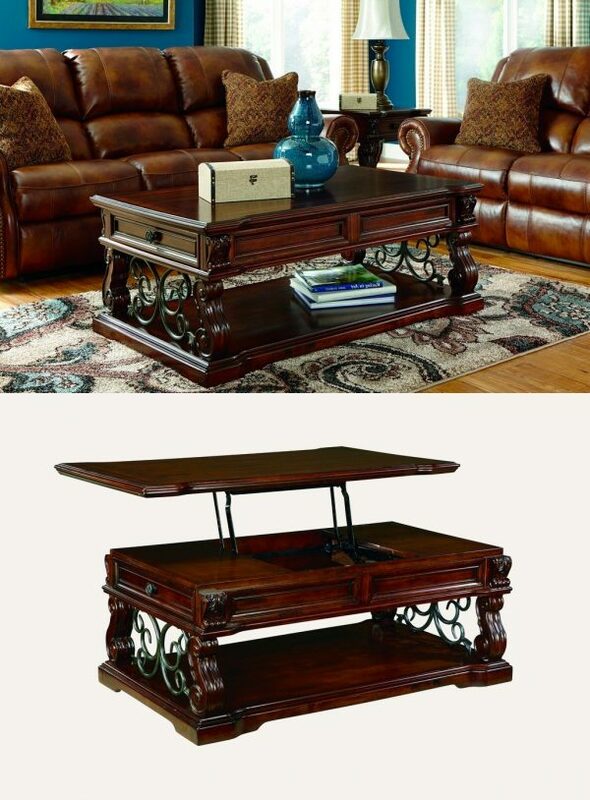 Antique-Style Lift Top Coffee Table: Serpentine legs and scrolled metal accents make this antique a great addition. 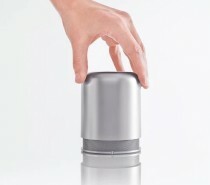 A lifting surface and inner storage are merely a bonus. 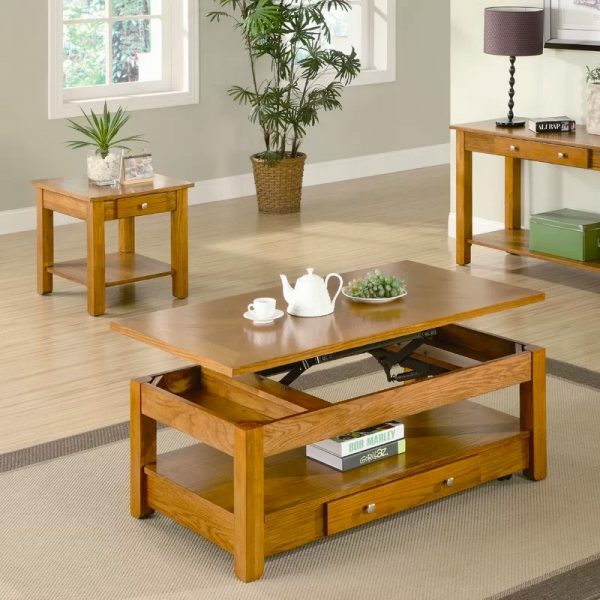 Oak Lift Top Coffee Table With Drawers & Casters: With hidden roller wheels and an oak veneer finish, this table has something for all the family. Watch this video to see its top lift over drawers.